Here's a refreshing recipe that screams COOL. I hope you enjoy it! We had with a great Garlic Herb Roasted Chicken. 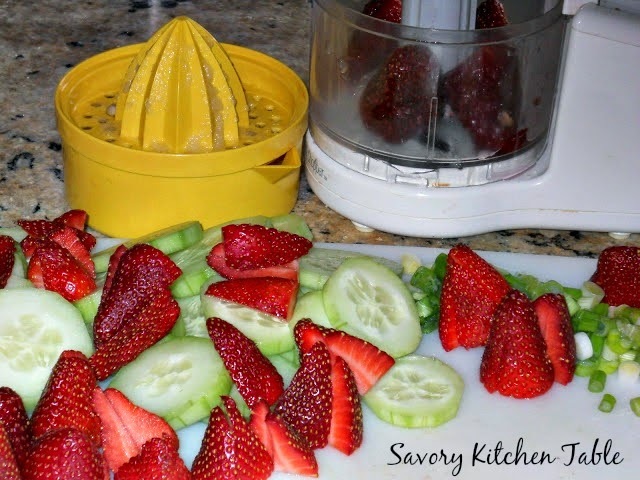 Arrange cucumbers, green onions and strawberry pieces on serving plate. Pour dressing over top. Tonight I had extra strawberries that I pureed and added into the dressing.